I use P22 quite a bit when training people with small hands. In suppressed form, it eventually gunks up and has to be cleaned. Re-assembly used to be a pain because of the recoil assembly design. Not anymore! Now it’s about as uncomplicated as a Glock. 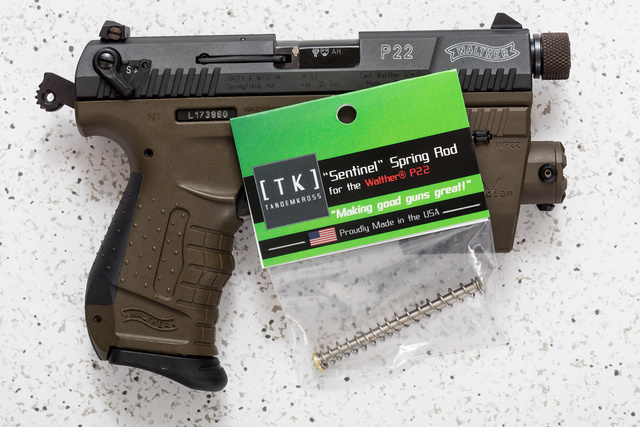 This entry was posted in pistol and tagged 22LR, upgrade, walther. Bookmark the permalink.